CYK1001-SS-4 is a Choke Tube Set (3 Pc.) Original Equipment Material specifically for the 1967-71 Plymouth GTX. 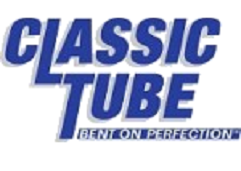 Classic Tube manufactures only the highest quality USA parts, so you can get the job done right the first time.